Hi Liz! Nice plant, is this in your garden? 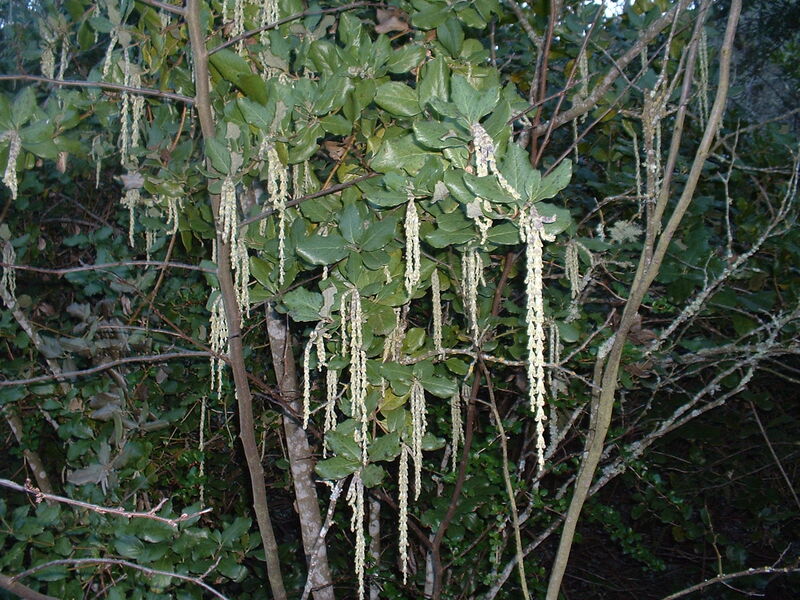 Yes, it is Garrya elliptica ‘Evie’ and is about 20 years old. It is a very nice long lived evergreen shrub. Planted in high shade. Thanks for your interest. Other native plants that have attractive male flowers-called catkins- are alder tree (Alnus rhombifolia) and hazelnut (Corylus cornuta). The male flowers of the willows (Salix sp.) are also very prominent. Mary Liz, Did you propagate the Garrya yourself? I’ve tried cuttings of Garrya fremontii here in the eastern Sierra and have had no luck with them. Have you got any tips for me? Thanks, Mike. Can you buy this anywhere in San Diego county?